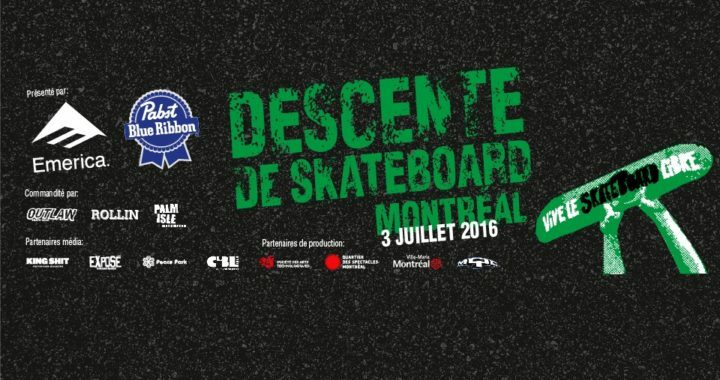 Sunday, July 3, Montreal is hosting the second annual Rollout of skateboarding at Peace Park. At 14:30, meeting at the Montreal Skate Plaza at the corner of Boul. de Maisonneuve and Avenue de Lormier to then roll down to Peace Park. BBQ, DJ, and door prizes will welcome the assembled skaters and longboarders of all ages. This event is presented by Emerica, Pabst Blue Ribbon, MQC, the Society for Arts and Technology, and the area of collaborative performances with the borough of Ville-Marie.